I decided to make a Lemon Pudding Cheesecake for a Lemon Recipe Challenge I am doing with some of my favorite blogger friends! 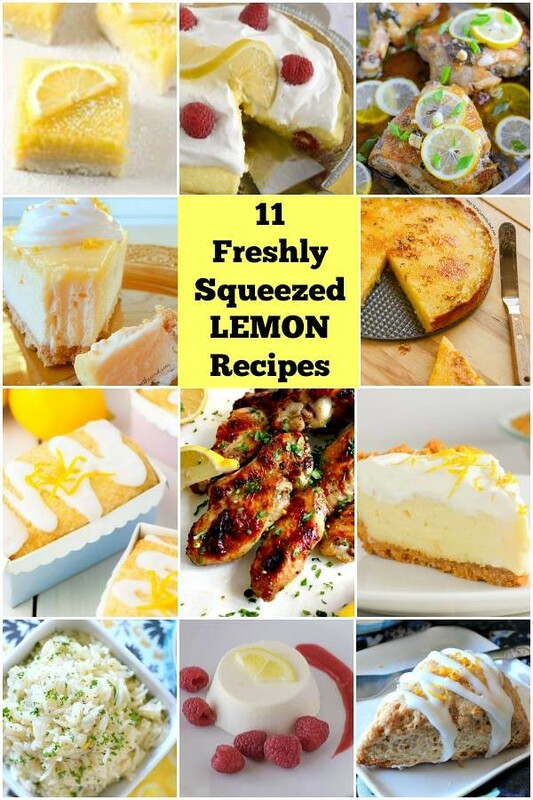 We ended up with 11 Freshly Squeezed Lemon Recipes to help get your taste buds ready for spring! 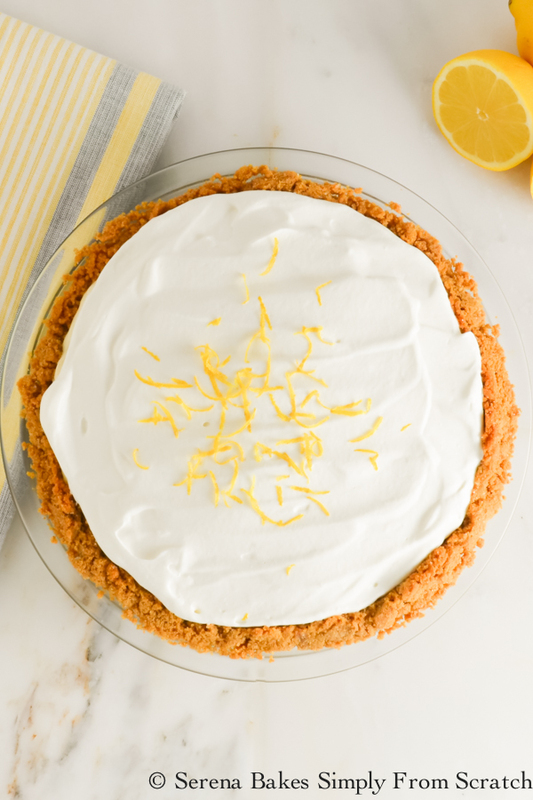 When I saw the ingredient Mary had chosen I knew I couldn't wait to participate because Lemon is always a favorite of mine and reminds me of Spring and Summer! We've had one of the wettest winters on record and I'm ready for some warm spring sunshine to enjoy a slice of Lemon Pudding Cheesecake on the patio! 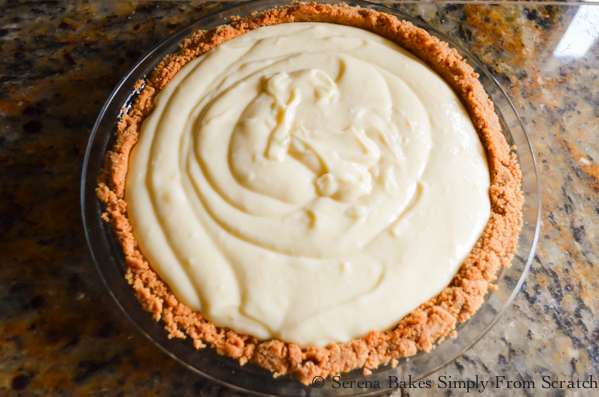 I chose to make Lemon Pudding Cheesecake since my recipe for Banana Pudding Cheesecake is not only a family favorite but the all time most popular recipe on Serena Bakes Simply From Scratch! I thought you might like the Lemon version as much as we do! It's some seriously creamy deliciousness! P.S. If your reading this message please send some sunshine and warmer weather! To Make Graham Cracker Crust: In a large bowl combine 12 whole graham cracker crumbs and 1/4 cup sugar. Mix until well combined. Add 1/2 cup melted butter and stir until combined. Press graham cracker mixture evenly across the bottom and up the sides of the pie plate. I find a measuring cup works well for pressing the crumbs evenly into the bottom and sides. Bake crust in a 375 degree oven for 7 minutes or until lightly brown. Alternatively a baked Flaky Pie Crust works and is equally as delicious! In a large sauce pan whisk together 1 1/4 cup Granulated Sugar and 1/2 cup Flour until well combined. This prevents lumps as we're whisking in the liquids. 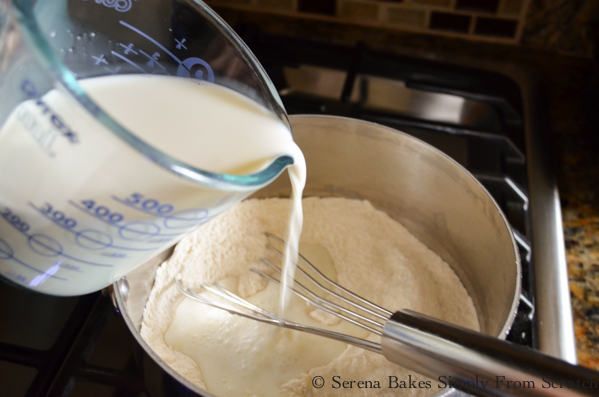 Slowly whisk in 1 3/4 cup Whole Milk until smooth and well combined. Slowly stir in 1 cup Lemon Juice. Cook over medium heat stirring constantly until thickened. You will be able to see lines from where you've stirred when thick enough. It's important to stir the entire time to prevent the pudding from browning on the bottom of the pan. 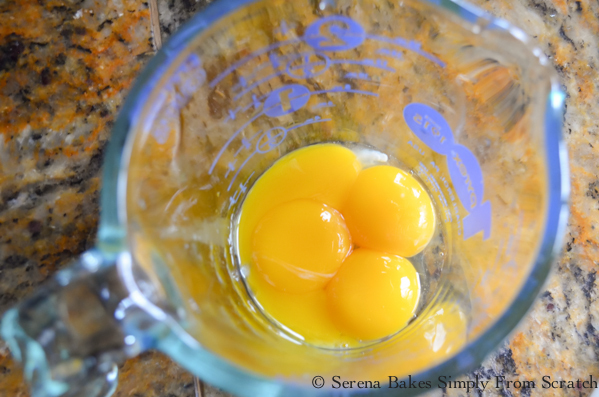 Whisk together 4 whole Egg Yolks. Stir in 1/4 cup at a time of hot Lemon Pudding Mixture into egg yolks until you've added about 1 1/2 cups Hot Pudding total. 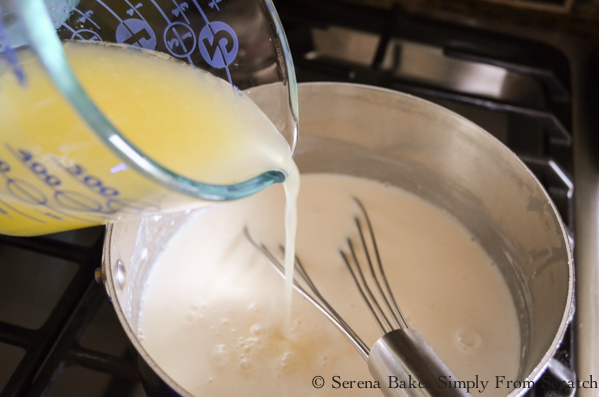 Add yolk mixture back into Lemon Pudding, and return to a simmer over medium heat while stirring. Cook an additional 3-4 minutes. Add 1 pinch Salt, 1 teaspoon Pure Vanilla Extract, and 1 tablespoon Butter. 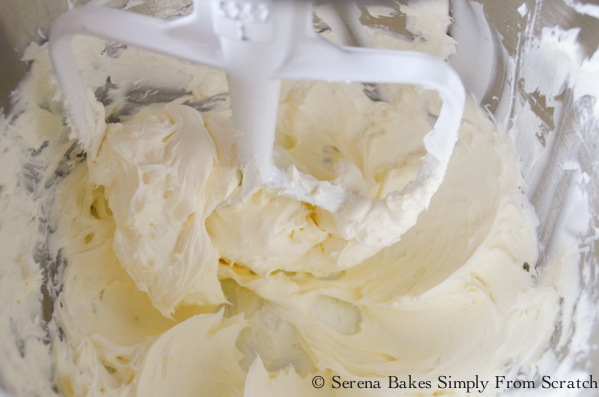 Whisk until well combined and set aside while preparing cream cheese. Beat 16 ounces Room Temperature Cream Cheese until smooth, scraping sides of bowl frequently. 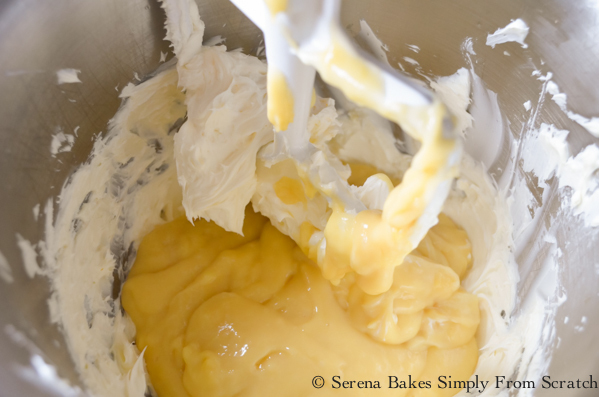 Add warm Lemon Pudding Mixture to cream cheese and beat until well combined on medium-low. Scrape sides of bowl frequently. 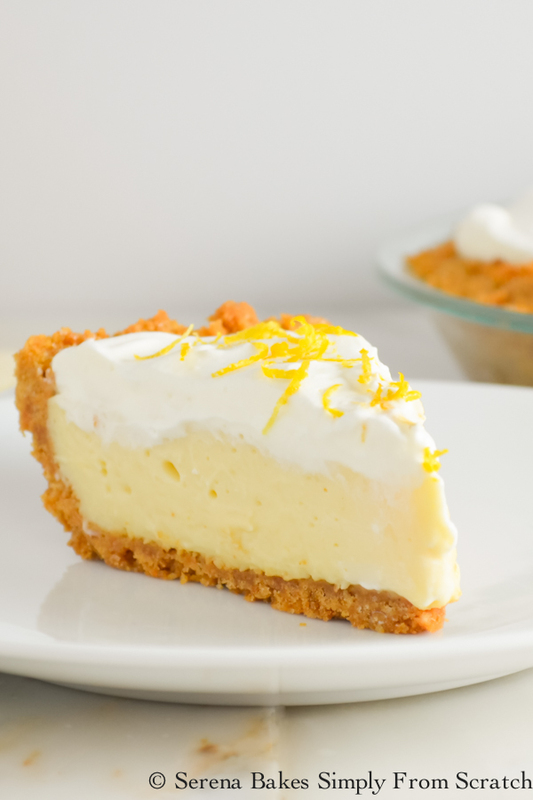 Fill Graham Cracker Crust with Lemon Pudding Cheesecake mixture and cover. Refrigerate until cold or overnight. Garnish Lemon Pudding Cheesecake with Sweetened Whipped Cream. Lemon Pudding Cheesecake is a must make dessert, and always a favorite! Don't forget to check out all the other lusciously lemon recipe links below the recipe! Creamy Lemon Pudding Cheesecake is an easy to make treat. A creamy combination of lemon pudding and cheesecake perfect for entertaining! 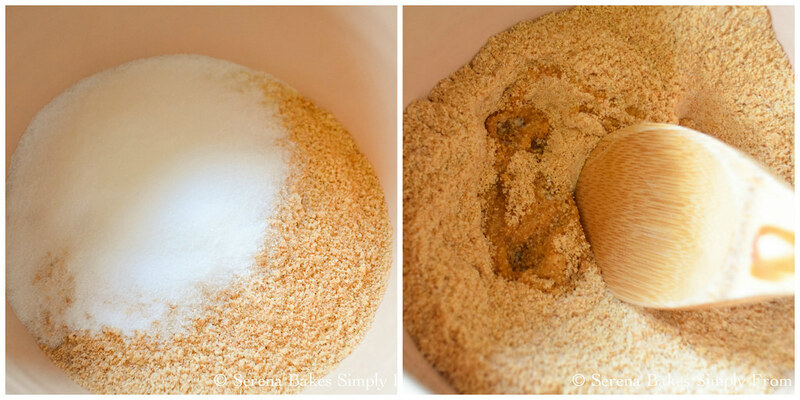 In a large bowl add graham cracker crumbs, and 1/4 cup sugar, mix until well combined. 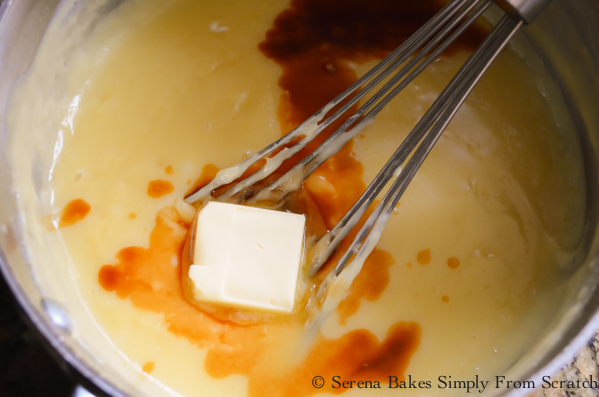 Drizzle in melted butter, and mix well. Press graham cracker mixture evenly into the bottom of a 9 inch pie plate. Bake for 7 minutes, or until light brown, cool completely. 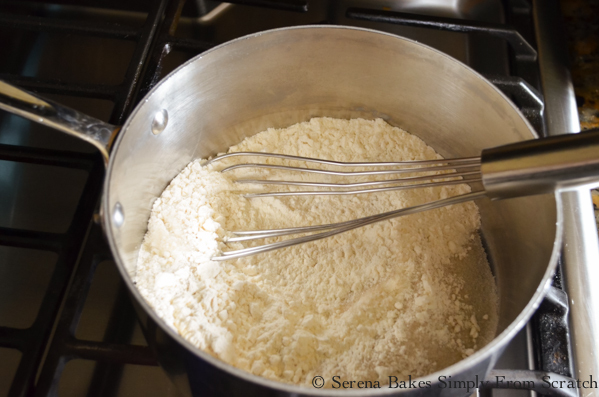 In a large saucepan whisk together 1 1/4 cups granulated sugar, and flour, until well combined. Slowly stir in milk to prevent lumps, and then stir in lemon juice. Bring to a simmer over medium heat, stirring constantly. Cook until thickened, and stir lines stay in pudding mixture. Remove from heat. 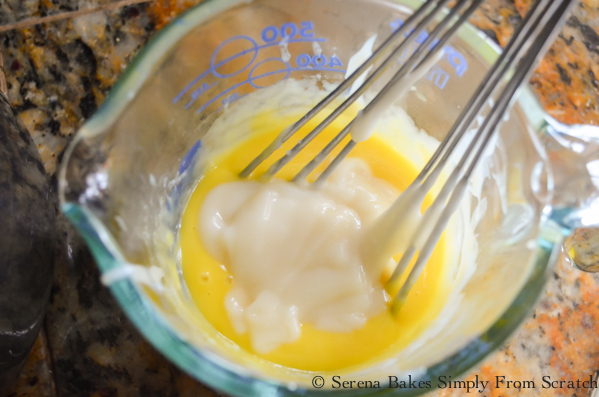 Whisk together egg yolks, and add 1/4 cup at a time hot lemon pudding mixture while whisking. Add additional pudding until about 1 1/2 cups hot pudding mixture has been added. 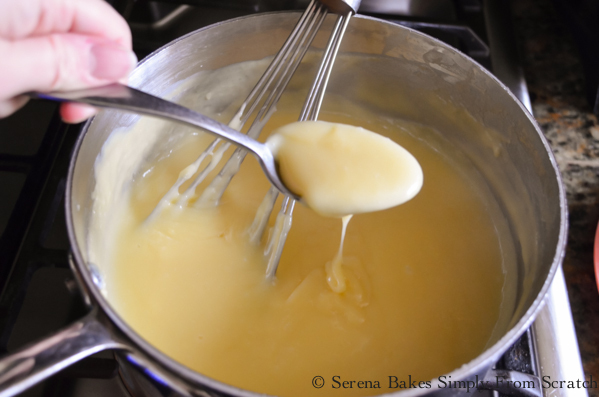 Add egg yolk mixture back into lemon pudding, and stir until well combined. Return to a simmer. Cook an additional 3-4 minutes while stirring to prevent pudding from sticking to the bottom of the pan. Remove from heat. Add salt, vanilla and 1 tablespoon butter, stir until well combined. Set aside. Beat cream cheese until smooth and creamy. Scrape sides of bowl frequently as needed. 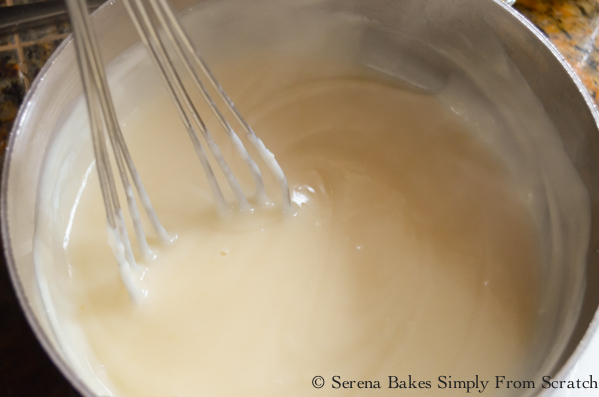 Add warm pudding mixture to cream cheese and stir until well combined. Pour Lemon Pudding Cheesecake mixture into graham cracker crust. Refrigerate until cold or overnight. Cover with whip cream. Garnish with Lemon Zest if desired. Lemon pudding and cheesecake, 2 of my favorites. This looks so good and you can't beat a graham cracker crust. Yummy, this would be so wonderful with tart and sweet all wrapped up into one! Serena, this sounds and looks absolutely perfect!! Truly delicious and a perfect ray of sunshine in those dark, dreary, rainy days. I know them so well too! What a gorgeous pie! I know both my daughter and I would love it!! Yum! This is a beautiful dessert, the flavors are lovely! I think I'll try this for Mother's Day. My mom loves cheesecake, but can't have any with chocolate, so this is perfect! oh boy! This is one fine looking pie! I'm loving all the other lemon recipes too. Can't wait to try them! What a creamy Spring time desert! I'll happily eat it now and hope spring comes tomorrow! Anything with lemon is right up my alley, pair it with cheesecake and now I'm in heaven! This screams deliciousness! Love anything with sweet-tangy flavors! This is heavenly ... want a slice now! Love anything with lemon. That citrus aftertaste is always good! Lemon and cheese are the best combo ever!! I made a cheesecake once with some lemon on top and it turned to be one of the best desserts ever! So tart and tasty. I am sure the pudding brings a great creaminess and texture to this cake. This looks divine! It would make a lovely Easter dessert. Are you on Pintrest? I wanted to pin this recipe because I don't have a printer. My pie is in the refrigerator and all ready for our Easter dinner. The filling is absolutely yummy...I licked the bowl! I did end up with extra filling. My pie plate was 9 inches and I filled it to the very top. I just put it in a dish. I'm sure it won't go to waste (It will only go to waist...sorry for the pun!) Thanks for sharing this wonderful dessert! I love cheese cake and the twist with lemon recipe is mouth watering. Excellent stuff. How do you make Wheep Free Meringue?